The Korg Minilogue XD is the updated take on the Korg Minilogue, which was introduced in 2016. 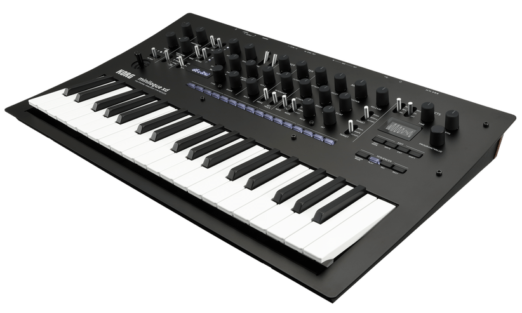 The Minilogue XD retains the same chassis, albeit in a black livery, with 3/4-sized keys and a similar overall layout. The Minilogue XD also retains the four-parameter Motion Sequencer of its predecessor, but the synth engine has been enhanced and the four parameter lanes are now displayed on a new, slightly larger OLED display. The voice structure of Minilogue XD is 2VCO + MULTI ENGINE, 1VCF, 2EG, 1VCA, and 1LFO. The additional sound engine is equipped with three different types of sound generator; noise, VPM, and user slot that enable you to take advantage of a sonic character that is different than analog, and use it at the same time as the analog engine. The Minilogue XD also offers a high-quality digital effect engine and shared the open development API (Application Programming Interface) of the Prologue. Users are allow to extend the possibilities of the hardware via an SDK (Software Development Kit) and dedicated development tools. The modulation effects, reverb, and delay (3 types) can be used simultaneously, enabling you choose from a wide range of options, including chorus, ensemble, warm tape delay, and a diverse variety of reverb. The Minilogue XD has 16 user effect slots that you can customize. Looking around the back of the unit. stereo outputs have been added, alongside a damper pedal connection, which was one of the most asked for features from users. And to top it off, we are also treated to an additional two CV inputs. The Minilogue XD has excellent analog and digital sounds, especially for pads. User programmable oscillator has tons of potential and lots of physical controls, And at a low price. The new full size controller keyboard from Akai’s Professional was unexpected. The Akai Pro MPK Road 88 is designed for touring and gigging. With 88 hammer-action keys, velocity sensitive and aftertouch response and a built-in four-output USB interface so with this plugged into your laptop you do not need any other gear. The MPK Road also comes with a bundle of useful software including Akai Pro VIP, AIR Music Tech DB-33, AIR Music Tech Velvet plus AIR Music Tech Mini Grand for Road 88. Other connectivity options include dual expression and sustain pedal inputs. Pitch and modulation wheels sit alongside a volume control, and you also get transpose functionality and split modes. As we know most MIDI controllers of this size have features including knobs and pads, sliders and buttons whereas this has less features. The Akai MPK Road is not complicated and it is not trying to control your DAW and you can handle any situation with ease. It is just there to let you get the best playing performance out of your virtual instruments or MIDI gear. An integrated travel case with handle means that your MPK Road will stay protected and be easy to carry. Though Sequential is saying goodbye to the Prophet 12 synth, but it is not going quietly. Sequential has announced that its Prophet 12 synth is about to be discontinued, but the company is seeing it off with a limited edition. When we say limited, we really do mean it: only 100 Prophet 12 LEs will be made. After these have rolled off the production line, this hybrid analogue will be no more, unless you are lucky enough that is, to own one. The Prophet 12 Limited Edition features 61 key semi-weighted keyboard with velocity and channel aftertouch, is the same as the standard model. As well as the white colour scheme, it also has maple end caps. With the discontinuation of the Prophet 12, most people are bound to speculate on what, if anything, might take its place in the Sequential product line. And with NAMM 2019 just around the corner, we might not have long to wait before we find out. 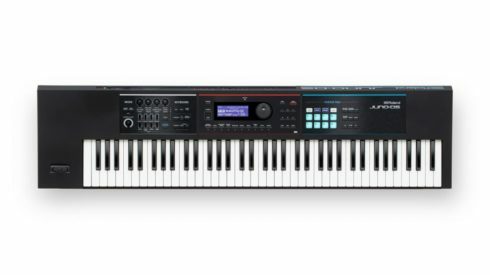 The new Roland Juno-DS76 Synthesizer is portable but has plenty of performance potential. Roland already had 61- and 88-note Juno-DS synths on its roster, and now it is bridging the gap with the launch of the Juno-DS76. If the 61-note model was too small and the 88-note version too large, try this. The Juno-DS76 features a lightweight design and a 76-note synth-action. Designed for those who want something a little more portable than the Juno-DS88, but still with a keyboard large enough for serious playing and splits, this is a performance-friendly 16-part instrument that contains more than 1,200 patches, 30 drum kits and 64 performances. There are effects and a pattern sequencer, and if you hook the keyboard up to a computer over USB, you can engage DAW control mode. 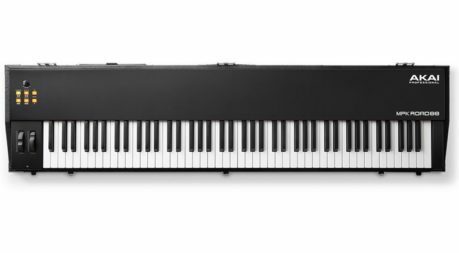 For keyboardists who mostly play organ, synth, and other sounds, the Roland Lightweight, 76-note Weighted-action Keyboard with Pro Sounds provides increased playing comfort when different sounds are assigned to the upper and lower note ranges. The keys are also a little longer than a standard synth keyboard, offering a playing feel that is smooth and consistent no matter where the key is pressed. And with a weight of just 15.25 lb, the JUNO-DS76 is much more portable than typical 76-note synths. The new Moog One could be the Moog polysynth that you have always wanted. 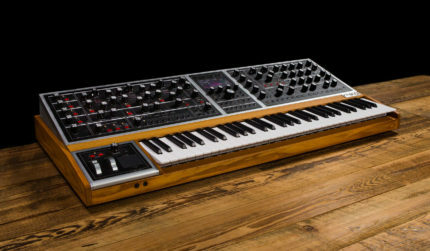 Any Moog synth launch is greeted with excitement, but when it is the company’s first polysynth in more than three decades, it is a particular big deal. The new Moog One is described as an “analogue dream synth”, and boasts what Moog is said to be calling the most advanced architecture ever for one of its instruments. Available in eight- and 16-voice versions, the Moog One comes with three VCOs and two independent analogue filters (a variable state filter and a Moog ladder filter) that can be run in series or parallel. On top of that there is a dual-source variable analogue noise generator, an analogue mixer with external audio input, four LFOs and three envelope generators. In addition, the Moog One is tri-timbral, so you can effectively play three synths simultaneously. These can be split, layered or zoned across the keyboard, all within a single preset. Each of these synths can have its own parameter settings, note range, arpeggiator, sequencer and effects, so the sound design potential is massive. On the effects, you get plenty, which can be applied on the aforementioned per-synth basis or to the master bus. The likes of chorus, delay, phase, bit reduction and vocoding are supplemented by a range of Eventide reverbs. The effects are digital, but you can ensure an all-analogue signal path if you ‘true bypass’ them. The Moog One is capable of storing tens of thousands of presets, all of which can be browsed from the central LCD panel. You can also assign presets to the front-panel Performance Sets for quick access, while a Snapshot button enables you to capture all current settings immediately. Presets can be shared via USB drive, too, so it is easy to take the sounds of one Moog One to another. In terms of control, you get 73 knobs and 144 buttons, while additional parameters can be accessed from the LCD centre panel. The synth has a handcrafted ash cabinet and an aluminium front panel, while the 61-note keybed comes from Fatar. An assignable pressure-sensitive X/Y pad provides further expressivity options. The new Moog One will exceed your every expectation as it inspires your musical creativity and opens portals to a vast sonic universe.